This was a tough drop for me...that second Old Knight and the Super Cray battled it out in my cart and the Old Knight won this round. If the SC last a few days I might end up going back for one but for now he had to take a back seat. This is turning into something big! The return of Ancerriun! The return of Vallerius! The return of the Super Cray! The Onell debut of the Old Knight! And that new brown metallic looks dead-on Orkmogg, especially on the nobotos/quallerrans! Excellent speculation. I’m assuming by the name that the Goblerran will be a Qualleran. Or two. I didn’t even make the goblin connection. Gendrones will return later this year, as they don't want to mess with any of the Goblerrans lurking around this wave. Also: the new gunmetal is the buildstation color this round. Not super surprising but I’m quite happy about it! Topic: 2018 Glyos Secret Santa ALERT!!! 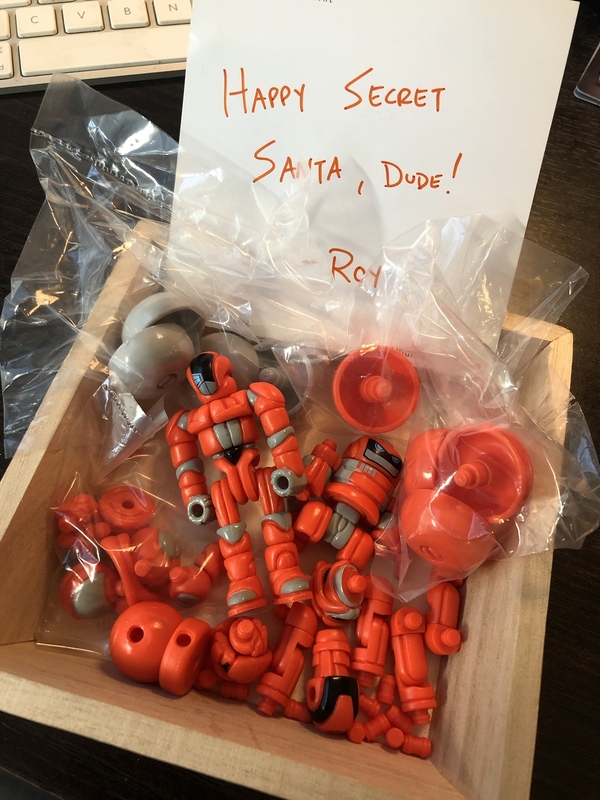 Re: 2018 Glyos Secret Santa ALERT!!! Well hell yeah! Thanks! I don't actually have either of those, and I've kicked myself a number of times for skipping that Pheyden! A huge thanks to kranix for the package of brand spankin' new orange goodness from the latest Bit Figs drop! I can't get enough of this colorway - and I've got a great little Glyceptor/Glyzapper crew to build with now! I am ridiculously excited about this! captaincraybeard wrote: Oh man, you guys - Pheytooth amuses me to no end! Oh man, you guys - Pheytooth amuses me to no end!